HomeAbout NLEANews ArticlesPress ReleasesYou Want to Build a What? The Scoop on ADUs. You Want to Build a What? The Scoop on ADUs. 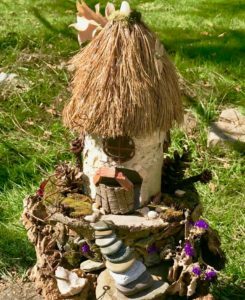 What would you say if I told you there’s a way, available right now, to help alleviate the housing shortage? 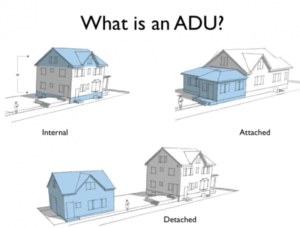 According to the American Planning Association, an accessory dwelling unit, or ADU, is a “smaller, independent residential dwelling unit located on the same lot as a stand-alone (i.e., detached) single-family home.” ADUs can be a converted portion of a single-family home and they can be detached. They also might be called by another name, e.g. granny flats, but the intent is the same; to add housing capacity. On August 29, the City of Boyne City and the Boyne Area Chamber of Commerce hosted a community housing forum. This well-attended event started off with local zoning administrators sharing housing-friendly policies that are already in place. All of them noted that ADUs are already permitted in some districts in their municipalities, although some were allowed only though a special use permit. ADUs are not a silver bullet for the housing issue, and they certainly won’t appeal to everyone. But they might be able to help. For information about ADU regulations in your community, please contact your local zoning administrator. For general information on ADUs and other methods of assisting with the housing shortage, call NLEA at 231-582-6482 or email janet@northernlakes.net.